It's the first big international tour for the duke and duchess of Windsor, and if Meghan Markle is anything like us (we can dream, can't we? ), she'll be experiencing that pre-holiday, "I have nothing to wear" panic right about now. It doesn't help that every outfit she wears is subject to intense scrutiny either (her chosen pieces are also guaranteed to sell out within hours—no pressure). Whilst the couple will be jetting to far-flung countries including New Zealand, Fiji and Tonga, their major focus will be the Invictus Games in Sydney. 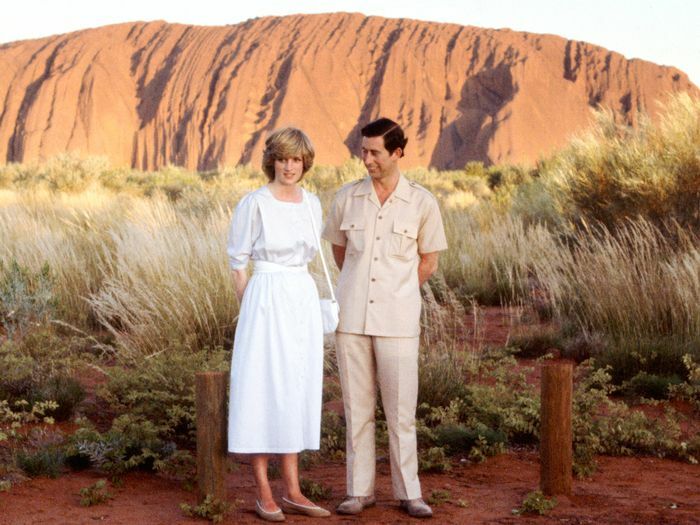 With Australia quickly becoming a hotbed of fashion design talent, we expect big things from the duchess's holiday wardrobe. We predict she'll generally stick to her time-tested formula of classic shapes and tailored separates; however, she might also reveal a more relaxed side with classic white tees and flared denim. We also expect her to champion a few local brands; we've already seen her step out in Aussie bag brand Oroton, and we can totally imagine Markle in Zimmermann's neck-tie silk blouse. Finally, for formal occasions, we couldn't help but throw in Roksanda's flared-sleeve Cady midi dress, which has all the makings of a Markle fave, just with a little extra fashion-forward flare (we couldn't help ourselves). Scroll down to see our full (imaginary) packing list. This Zimmermann blouse would look so good with jeans and heeled boots. A blazer is the ideal polished piece for smart-casual occasions. Meghan will definitely bring a pair of her fave Finlay & Co. sunnies. Flared denim will inject some cool American vibes into her holiday wardrobe. Green is a colour of Australia and one of Meghan's favourite hues. She'll no doubt continue to fly the flag for British designer and Givenchy Creative Director Clare Waight Keller. Meghan in a white tee? We reckon Aus will bring out her casual side. These versatile boots will go with everything from faded denim to smart midi dresses. For those sporting moments (where royals love to still wear fancy shoes), block heels are favourable to stilettos. The colour of this Warehouse midi shirtdress is very Meghan. It wouldn't be a Markle capsule wardrobe without a pair of suede stilettos. Please, will you wear this Roksanda dress, Meghan? We will love you forever. Always one to champion local brands, we can totally see Meghan Markle toting this Orton handbag. The duchess loves a leather skirt, and we think she would look amazing in this cream & Other Stories number. A showstopping gown from one of the country's leading designers. Royals will often nod to a country's national emblems via their jewellery choices, so it's not entirely unthinkable to suggest a kangaroo brooch at this point. Next, see what all of the guests wore to Princess Eugenie's wedding.